We were gifted 7 pounds of fresh-off-the-boat Georgia shrimp a month or two back (thanks to my mom & dad in-law). I froze them in one pound packs so they would thaw quickly when we had a shrimp hankering. 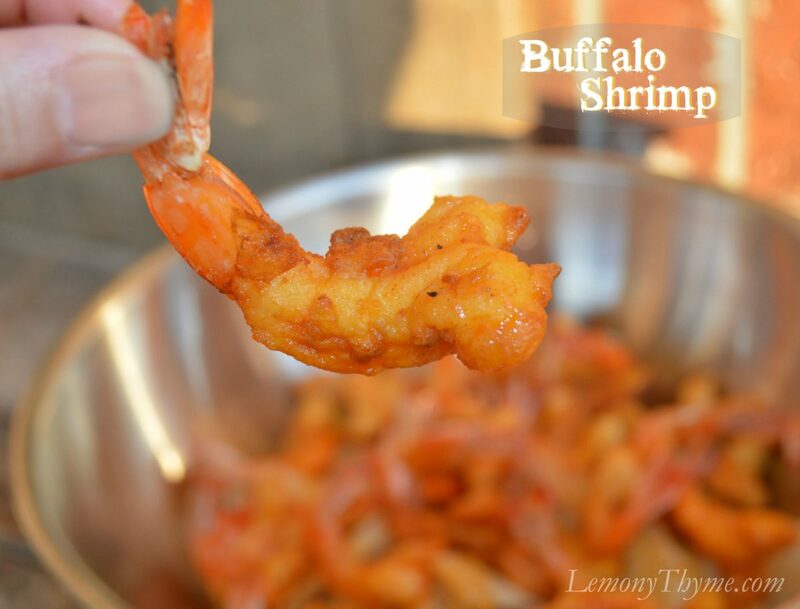 On this particular day, I couldn’t get enough of these Buffalo Shrimp. They were too tasty not to share. Have you ever had Hooters Buffalo Shrimp? I asked that question to three of the ladies I work with and without hesitation they all said yes, yep, love them. Looking forward to trying them, but for now this was my attempt to recreate what I had heard were some damn good Buffalo Shrimp. For this recipe I made two changes to my standard Crispy Fried Shrimp recipe. First, I butterfly cut the shrimp. For a quick tutorial on how to Butterfly Shrimp click here. Then instead of a full panko crust, I simply used a flour and cornstarch dredge. I liked the butterfly cut a lot but would go with a little extra coating next time. 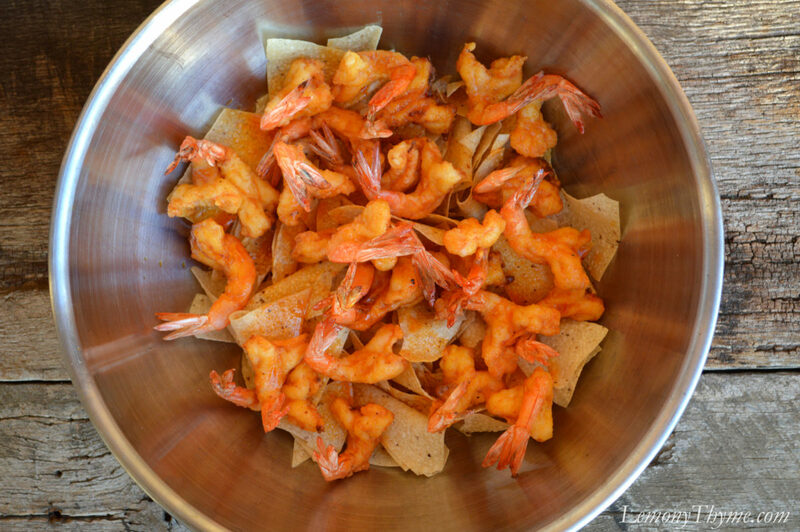 Once the shrimp are fried and drained, we tossed them in buffalo sauce, then layered them onto a bed of tortilla chips. Couldn’t resist this trick that we first learned from an old friend, that we’ll affectionately call Ferris. Making Buffalo Wings, finish them in a giant bowl filled with tortilla chips. Any sauce that drips off the wings or shrimp, create a layer of buffalo nachos if you will. Prepare butterfly shrimp (see how-to link in post). Line a shallow baking sheet with parchment paper. Combine flour, cornstarch, salt & pepper in a bowl or zipper top bag. Whisk together egg & buttermilk in a second bowl. Working in small batches, toss shrimp buttermilk/egg, then into flour. Place in single layer on parchment lined baking sheet. Meanwhile, combine buffalo sauce ingredients in a small saucepan; bring to a boil then reduce heat to low to keep warm. Heat 3-inches of oil in a deep pot to 375 degrees. Fry shrimp in small batches, for 2-3 minutes until golden brown. Remove to drain on brown paper bags. To serve, place tortilla chips in a large bowl. Toss shrimp in buffalo sauce then place on chips to drain. Serve with a side of blue cheese or ranch dressing and extra buffalo sauce. I am jealous! We can only get “fresh-frozen” at 20 bucks a pound. These look delicious!